PEARL HARBOR, Hawaii – As a gentle breeze binds the scent of oil and tropical air, Paul Rom rises from his wheelchair and grabs hold of the rail. The sky and water nearly match in brilliant blue and just feet a way an American flag whips atop the mast of ship still watching over the harbor. With a little help Paul gazes just to his left, the front gun turret rusted, but visible above the water and the smells from 'the tears of the Arizona' drift up from below. For Paul, a native of the Bronx, this is his first and likely last trip back to Pearl Harbor since his service so many years ago and he has come at a time many in this dying club will say their final goodbye's. They all have stories. From swimming through oil infested waters ablaze from explosions, to serving on other parts of the island...watching in horror as the Japanese surprise attack 69 years ago killed more than 2,400 of their friends and colleagues, including children and other civilians. For so many the years have gone by so fast and you can literally see the memories on their faces as they go into a near trance while looking over the site. All around the island and around this harbor bombs fell and gunfire ripped through everything in site. Two hours and two waves of Japanese planes later, 188 U.S. aircraft and 21 ships were either destroyed, or severely damaged and we had been brutally thrust into the war in the Pacific. We have come here for the 69th commemoration at Pearl Harbor for two reasons...the obvious is the memorial that will be attended by about 100 survivors and their last official visit here, but also to witness the dedication of a brand new facility to remember their fight and America's resolve. You see four years ago when we came for the 65th anniversary, our crew noticed the visitors center had seen better days and that's putting it lightly. Big chunks of concrete had fallen from numerous areas and parts of the center were literally sinking back into Pearl Harbor. A fund had been established and every effort was being made to raise 50-million dollars to replace a museum and site that had seen much better days. We pitched the story idea and planned a return. 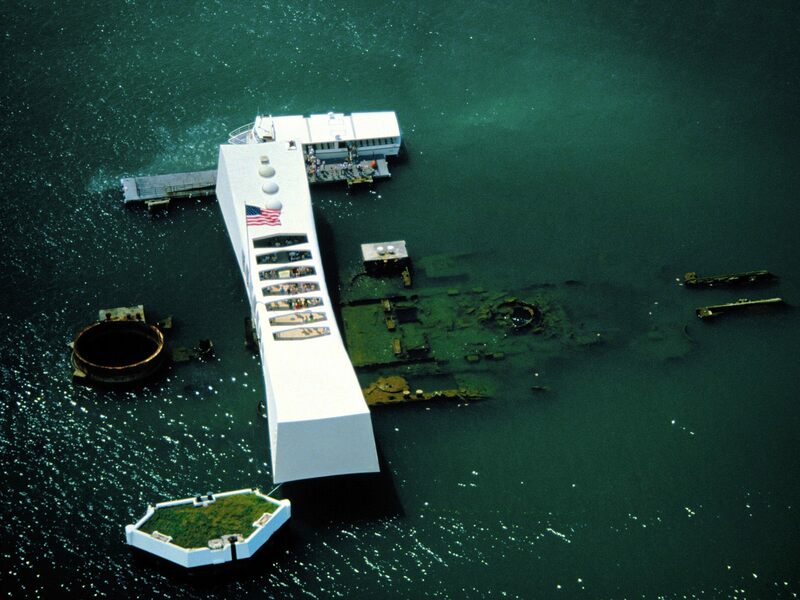 Just a few months later, we would be back at Pearl Harbor and tell the story and the efforts being made to rebuild before the last survivors were gone and many of you donated money to see that the project would be finished in time. Thankfully the money came in and the center was replaced, so we get another humbling opportunity to meet the survivors and their families as they come to see the new place and remember those lost. First and foremost this is all about seeing the men and women of the great generation and secondly to see the site that will ensure their efforts and fight will not be forgotten. As Park Ranger Candace Francis says "If we don't remember what happens, we do lose our past." I will say this...if you haven't been here to see this amazing site before, the new World War II Valor in the Pacific National Monument/Pearl Harbor Visitor Center is more than a must-see. If you have been here, you will not recognize the place on a return trip. The facility is downright beautiful and open and gives the visitor the feel of a modern, yet nostalgic trip through time. The new Museum is interactive and spectacular, boasting artifacts from the attack like a ripped open Japanese torpedo, or a door from inside the USS Arizona. There are theaters, pictures, interviews with survivors, a research education center and openness that allows all who come here to peacefully reflect. The site couldn't be more impressive for a group of men and women that witnessed one of the most horrifying, yet historic events in American history. One Year in Forty Seconds! Rare Lunar Eclipse on Winter Solstice!